I suppose this is the part where I introduce myself. So… my name is Amy, I’m 26 years old, and I blogged consistently for years. Then slowly, after years of sharing my life online, I just got tired of it. I was starting to focus more on my fiction. I felt my blog had no real direction. Well, it did, I suppose… it was sharing my weekend with my friends. But I was tired of that and I knew that if I was going to blog anymore, it needed to be different. It needed to have a direction and be something that people I don’t know would find interesting. 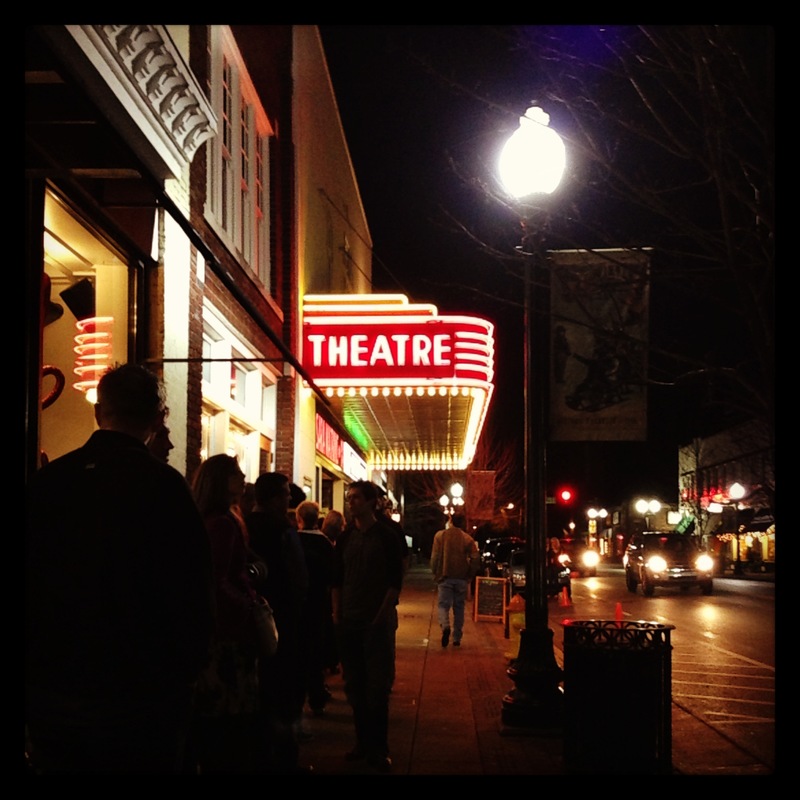 February 7, I attended a great event called Start Night, thrown by Jon Acuff. He’s pretty much been my hero since I read his book Quitter. I am not even 100% certain how I found out about the book. I knew him from the few times I had visited his Stuff Christians Like blog, and then he started making appearances on a radio show I listen to. I assume I heard him on the radio that day, checked out his blog, and then on the side of the page saw something about his new book Quitter, which had the tagline: “Closing the Gap Between Your Day Job & Your Dream Job.” Needless to say, this intrigued me. I downloaded it to my Nook and started reading it right away even though I had been reading Northanger Abbey. And it changed my thinking; it changed me. When I saw the announcement for Start night, I knew I had to go. I got my ticket the first day. It felt a little risky. I, the introvert, would be going solo. I would have to parallel park in the downtown area. I would probably be sleep deprived the next day. And it was also the due date of my friend’s baby. I had no way of knowing he would be born a month early. I just hoped it would work out. And it did. Waiting in line… thankfully not long. The theme of the night, and of the upcoming book, was this idea of leaving behind the path of an average life and getting on the path to awesome. 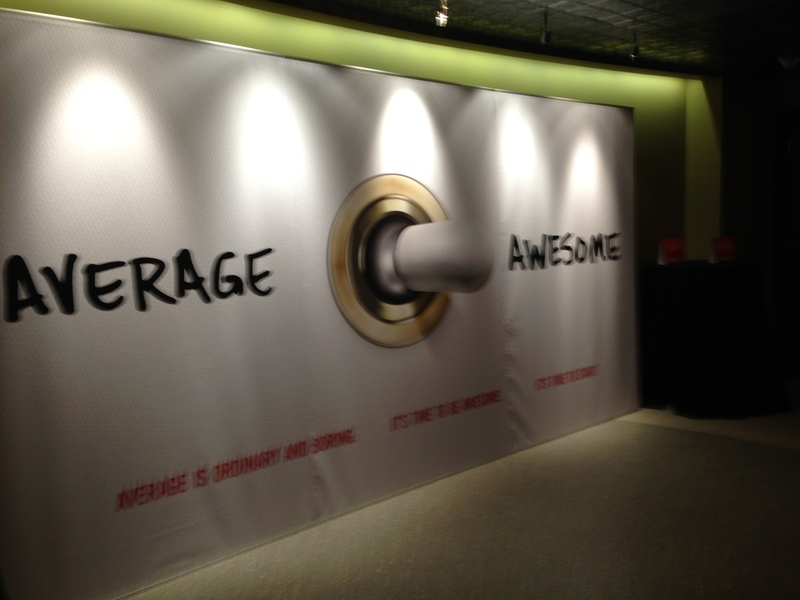 Inside the theatre… the switch from average to awesome. 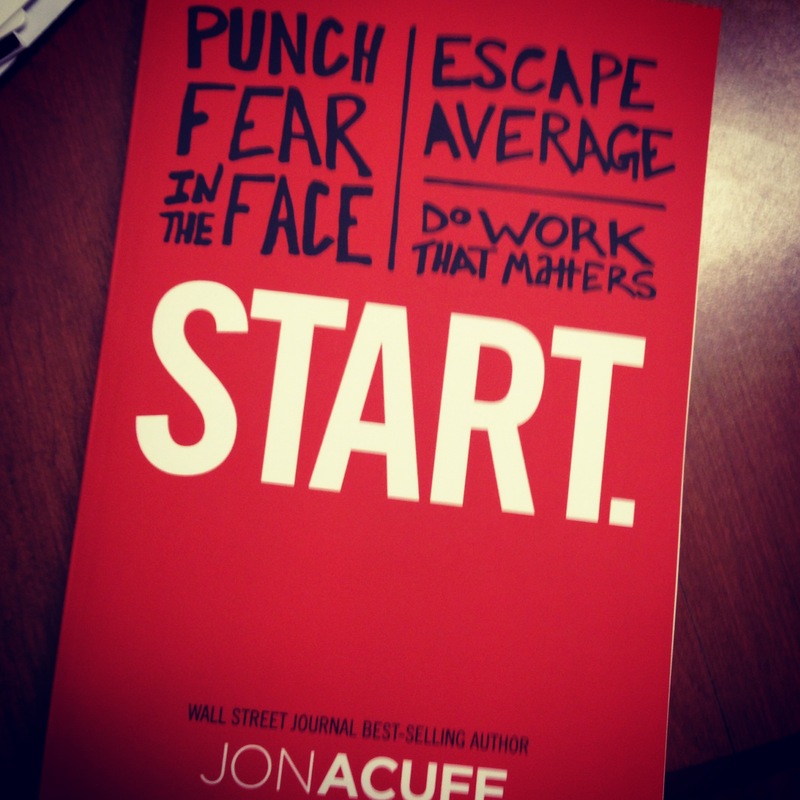 I don’t think it sounds cool when I explain it, but it does when Jon Acuff does. Anyhow… and of course there was the idea of STARTING, to not put your dreams on hold any longer. Yes, keep your day job for now. Yes, be aware of your present circumstances and what you are capable of in terms of commitments and finances and what is important now. But dream of what’s ahead. Take every small baby step you can towards your dream and watch it grow. And don’t listen to the negative voices inside you that say you can’t do it, or the myth that you’ll be ready one day but you aren’t now. You’ll never really be ready. You have to start and go through an awkward, fumbling beginning and learning stage before you can become the master of your craft that you want to be. And not only is that OK, that’s what everyone who lives an awesome life goes through. Jon Acuff gave a great presentation of the material and I felt encouraged afterward. I got to leave with an advanced release copy of the book, which I am reading through now. Do yourself a favor and pre-order it. All this to say, this blog is how I am STARTING, at least with my public writing. I have been writing pretty religiously for a little over a year now, and it’s paid off. Since November 2011 I have basically written 1 novel and I am almost finished with another one. That is more than I accomplished in my previous 15+ years of writing (but don’t get me wrong… I needed those years to start a lot of bad stories, ha). But believe it or not, this blog is not all about my pursuit of writing. I think that would actually be quite boring to read about unless I posted my writing, which I am not doing quite yet. I do want to talk about stories however, whether they be in TV, movie, or book format. I love stories in all mediums. I majored in TV Production in college because I thought I might want to tell stories that way. I still hope to one day do a little something with film. But right now, I want to write, and write, and rewrite, until I get that first novel bound with my name on the cover. But any exercise in writing and exploring story telling is beneficial I believe. So I will be discussing everything from Jo in Little Women (book and movie form) to Star Trek: Deep Space Nine to movie adaptations of Jane Austen’s stories to The Hunger Games… and everything else in between. I still don’t know exactly how this blog is going to look as it progresses. I have sat on this idea for about a year. But it’s time to START and find out. Thanks for reading this long (I promise not all posts will be this long). And thanks for your willingness to go through the growing pains with me. Tell me, what do you want to START? What’s your dream? Amy! I’m so glad you started writing publicly! I’m really looking forward to reading your material. Also… my dream–to figure out really what my dream is… I’ve got too many interests (they just wiz around in my brain like fireflies in a mason jar) and a short attention span.